Harking back to my days as a litigation claims manager, manager of in-house staff counsel, and now consultant to insurers on litigation management issues, I probably have reviewed thousands of legal files in cases throughout the United States on a variety of issues. One thing I consistently notice in many files I reviewed is the lack of a focused litigation plan. One of the first things I note lacking in a focused litigation plan is that the adjuster is not sufficiently engaged in the planning process. This lack of engagement usually contributes to a lack of follow through on the plan. While it is okay for the defense attorney to take the lead in coming up with a proposed litigation plan, the adjuster should maintain active engagement in the planning process. Too often, I have seen “okay” or “proceed” as the only adjuster comments to an attorney’s proposed litigation plan. 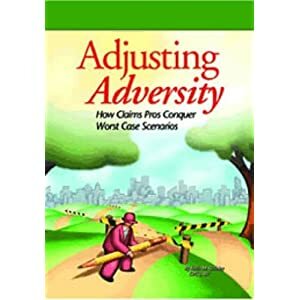 I have noted that the more experienced the litigation adjuster is, the more likely it is that probative questions will be asked or meaningful comments or changes proposed to the proposed litigation plan. But, even less experienced adjusters, who have little to offer but questions, can add meaningfully to the planning process. Sometimes simply asking the attorney why certain things need to be done or why will certain things take so long to accomplish may serve to help the attorney re-think the proposed steps. A focused litigation plan must always be viewed as a living document that will need to be updated as circumstances warrant. As developments do occur in a case, they must be viewed strategically through the prism of the litigation plan. How does a particular new development affect the litigation plan from a strategic standpoint? Do major revisions in the litigation plan need to be made? If no changes need to be made in the plan, do the target dates need to be revised? If a development is not of strategic importance, why waste time (and the company’s money) on changing the plan or reacting to it in some way? Remember it is not always necessary that the defense attorney research every issue the plaintiff attorney raises or vigorously oppose every motion filed. It is possible to achieve a good result on a litigated file in an efficient and cost effective manner without a focused litigation plan just as it is possible to walk outside and find a $10 bill on the sidewalk. However, the chances of either happening – at least on a consistent basis – are rare. Achieving a good result in a litigated file can only be accomplished on a consistent basis through developing a focused litigation plan and careful follow through, monitoring, and where necessary, revision of that plan.